In North Carolina, a neighborhood in Greensboro called Avalon has a childhood asthma rate 12 times higher than the surrounding county. In Baltimore, hospital emergency rooms treat nearly 5,000 seniors for falls each year – a third more than the national average. Although seemingly unrelated – children and the elderly, asthma and falls, Greensboro and Baltimore – the data reveals a common thread. In both cities, an aging housing stock is undercutting the health and well-being of the community, and poor persons of color are disproportionately affected. These two communities have another thing in common: they are both home to innovative multi-sector collaborations that are using data to increase their understanding of the conditions and the impact of these disparate health outcomes. 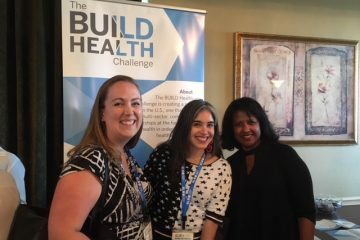 Funded by the BUILD Health Challenge, Collaborative Cottage Grove in North Carolina advocates for fair, safe, and affordable housing for low- and moderate-income people and those with special needs. The Baltimore Falls Reduction Initiative Engaging Neighborhoods and Data (B’FRIEND) is funded by Data Across Sectors for Health (DASH) and is led by the local public health department. In each case, these local partnerships crunched the numbers (leveraging a combination of CDC data, hospital records, housing records, and civic data) and identified hotspots for asthma and falls, respectively. When they cross-referenced the data against housing stock records, they found asthma and falls were most likely in communities with older homes, absentee landlords, and predominately African American residents. 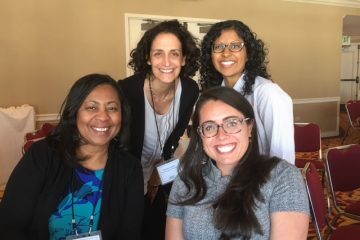 At the Communities Joined in Action (CJA) conference in February, Greensboro and Baltimore told their story of building collaborations to share data to inform their efforts to combat health inequities in their communities. 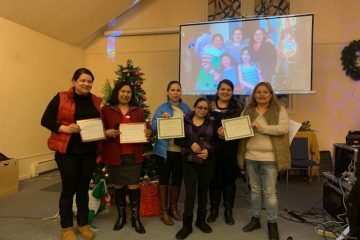 Neighborhoods struggling against poverty and poor health outcomes contend with substandard housing, under-resourced schools, transportation and other barriers to employment, political structures designed to maintain existing power structures, and the enduring legacy of racism, classism, and sexism. At the meeting, Kevin Barnett from the Public Health Institute and David Erickson from the San Francisco Federal Reserve highlighted how current maps of unequal health outcomes are aligned with the original red-lining maps that restricted equal access to housing by race. These problems are historic and structural, and they will not be solved without addressing the underlying forces aligned against equity and fair treatment. Josie Williams of Collaborative Cottage Grove receives award at CJA. The Baltimore and Greensboro projects are described in more detail here, and many of All In’s resources are available publicly. More engagement is available through the All In online community. At All In, we welcome you to join us, contribute what you are learning and take advantage of the many resources, activities and relationship that can accelerate your progress.